Our cheese omelette is like no other omelette you have ever tasted. Start or end your day with this fantastic omelette. Enjoy it with toast, bacon, fruit or whatever you like. Eggs are great food to have for breakfast or a light meal. Not only do they meet nutrient criteria, they are super delicious! 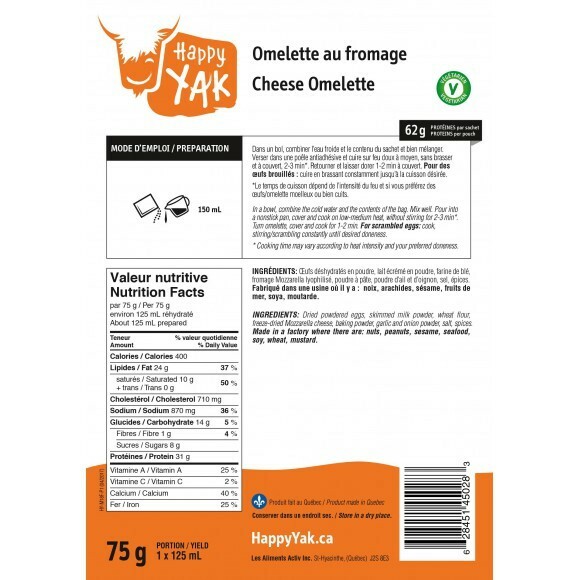 Yak Comfort and Yak Vegetarian selections The omelette falls within the category of those basic preparations with endless variations. It is nutritious, delicious and appreciated at all times and is a guaranteed winner every single time. Did you know? On March 19, 1994, the largest omelette (128.5 m²; 1,383 ft²) in the world, at the time, was made with 160,000 eggs in Yokohama, Japan. 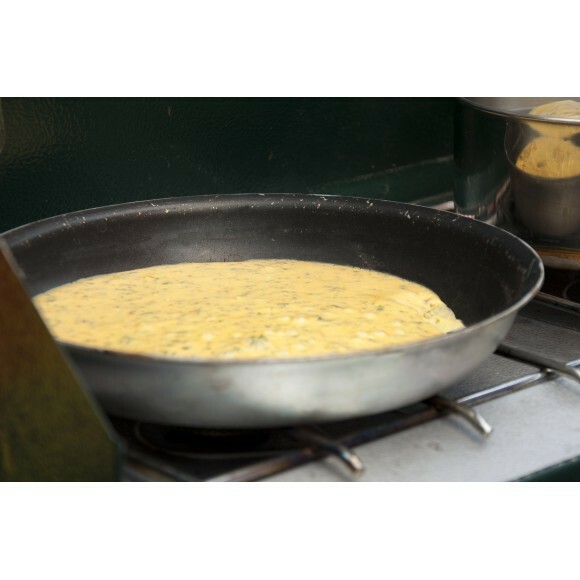 On May 11, 2002, this record was overtaken by the Lung Association in Brockville Memorial Centre, Ontario, Canada, who cracked an omelette weighing 2.95 tons (2,950 kg; 6,503.6 lbs. ).